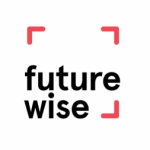 We are excited to announce a new partnership between Futurewise and The Urbanist! Futurewise is a statewide organization dedicated to proper implementation of the Growth Management Act. We encourage healthy, equitable, and opportunity-rich communities while protecting our most valuable farmlands, forests, and water resources through wise land-use policies and practices. We’re excited to be partnering with The Urbanist on a new regular dispatch to keep you updated on land-use news from around Washington State. We’re calling it Wonkabout Washington. On Tuesday, May 15th the Tacoma City Council voted unanimously to approve the Tacoma Mall Subarea Plan. The plan is an innovative example of smart urban growth, including increases in transportation access, implementation of affordable housing incentives, and promotion of resident and environment health by encouraging green infrastructure. A dozen Tacoma residents addressed the Council to specifically support the inclusionary zoning ordinance, which requires developers of 15+ units to build 10% affordable for households who earn 50% of the area median income (incentives include height bonuses, reduced parking requirements, and multi-family tax exemptions). Many of these residents shared their struggles finding affordable housing in Tacoma. They commended the plan for providing more options for low-income households and asked for inclusionary zoning to be implemented city-wide. The new inclusionary zoning ordinance is a crucial investment in expanding access to affordable housing in Tacoma. Forty percent of households in Tacoma pay more than 30% of their income on housing. Since 1990, rents have increased almost 40%, home values have nearly doubled, and household income has only increased by 20%. The ordinance also reduced parking requirements from 1 parking stall per unit to 0.5 parking stalls per unit, and no off-street parking is required for each affordable housing unit. Parking significantly increases the cost of building housing, so reducing the requirements will also contribute to making the housing more affordable. And making this area pedestrian-friendly with access to transit will reduce the need and reliance on single occupancy vehicles to get around the city, reducing congestion and improving the environment. On April 19, 2018, Futurewise filed an appeal of the Benton County Comprehensive Plan on the grounds that sprawling development is unsustainable in rural areas without adequate planning for drinking water. The county’s comprehensive plan assumes the high end of state population growth projections, or 6,794 more people in the rural area in the next 20 years. Water resource planning efforts in the lower Yakima River have made clear that water in Benton County is already allocated and flows in the river are too low for salmon and steelhead outmigration and rearing. This appeal will be the first to address the applicability of the State Legislature’s so-called Hirst fix bill (SB 6091) to planning for growth in the Yakima River basin. According to the bill, counties in the Yakima basin are mandated to plan for the use of land consistent with available water resources under the Growth Management Act (GMA). Analysis by the State and other sources show that throughout Benton County, all the water is already allocated, and more water withdrawals will harm fish and wildlife, and lead to unpredictability for rural home owners and developers. Additionally, in two of the three basins in Benton County, the impacts of climate change will reduce the amount of water available by 2035, which is within the 20-year planning horizon for the current comprehensive plan update. Futurewise partnered with community organizations, including The Urbanist, to support new legislation updating parking requirements in Seattle. The legislation passed through Seattle City Council on April 2nd. Reduce how much parking a developer must construct in parts of the city served by frequent transit. Require landlords to unbundle the cost of parking from rent, so those who don’t want to pay for a parking space won’t have to. Set stronger, uniform standards for bicycle parking. Reducing parking requirements and unbundling parking from rent are key recommendations in the comprehensive Housing Affordability and Livability Agenda (HALA) that aims to reduce the cost of housing. By requiring more parking to be built than is utilized, our previous parking codes made housing units more expensive and resulted in fewer homes being built. This update to our parking code assists in meeting Seattle’s commitments to reduce reliance on single-occupancy vehicles, reduce greenhouse gas emissions, and achieve the HALA strategy to lower housing costs. Futurewise works throughout Washington State to encourage healthy, equitable, and opportunity-rich communities and to protect our most valuable farmlands, forests and water resources through wise land use policies and practices. Founded to help support implementation of the first-in-the-nation Growth Management Act, we focus on directing equitable growth into our urbanized areas and preventing the conversion of wildlife habitat, open space, farmland, and working forests to subdivisions and development.